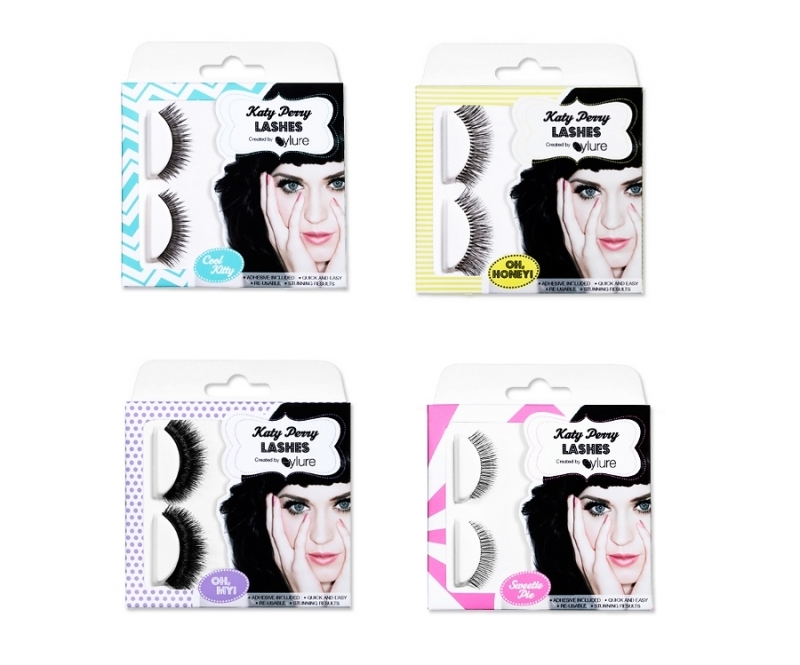 Katy Perry's New Eylure Eyelash Collection. Take the fear out of head-turning beauty trends and choose one of the gorgeous fake lashes from the Katy Perry's new Eylure collection. Turn your glimpse into your best asset and flaunt your glam diva side with a dazzling makeup look. If you were expecting colorful feathers and sparkling faux lashes, you'll be definitely disappointed. However, if you're lusting for a complete set of false lashes you can wear to every event, the Katy Perry's new Eylure eyelash collection is undoubtedly the answer to all your prayers. Eylure is one of the highly acclaimed companies who grants beauty kittens with a gorgeous selection of beauty tools everyone can use without MUA skills. 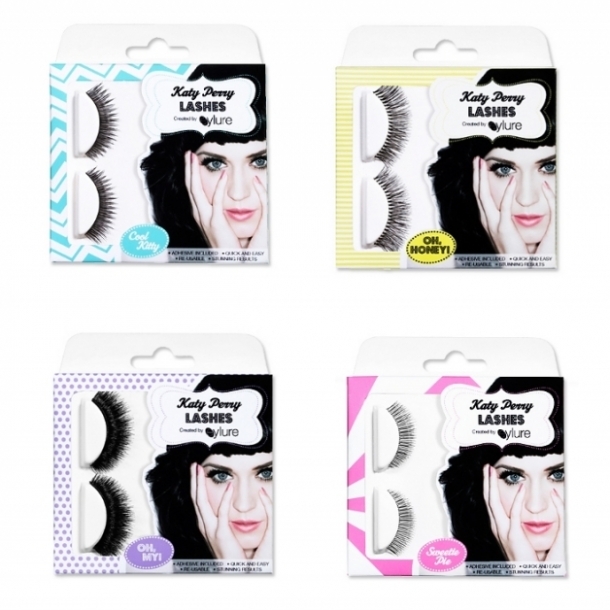 Katy Perry decided to collaborate with the hip brand to release a chic selection of universally-flattering and sultry false eyelashes. Function is fused with glamor in an elegant and original way. Perk up your glimpse by taking a closer look at this impressive beauty collection. Whether you want to wear these on a daily basis or you would rather arm up your glimpse with faux lashes to wow your admirers on special events, the point is to make sure you know more about your beauty options. Katy stated about the chic lashes set that, “When it came to having a range of my own, I wanted everyone to have a great experience with my lashes [...]They're full, fun, and great for both daytime and evening wear." Katy Perry Cool Kitty Lashes Katy offers her own review of the glamorous pair of faux lashes to InStyle, “These are some of my favorite lashes! The well-manicured tips make them perfect for evening wear,[...]It can add the ideal finishing touch for a smoky look that will make people purr as you pass." Katy Perry Oh My! Lashes Make sure you don't shy away of the thickness and volume of these chic lashes. Katy says that, “This style is full of texture, but they're very lightweight,". Katy Perry Oh Honey! Lashes Stay one step ahead of the most flirtatious beauty trends and sport these old time glamorous false eyelashes about which the pop diva says that, “I love the vintage flick at the corners that this lash gives me![... ]They're full, fun, and great for both daytime and evening wear." Katy Perry Sweetie Pie Lashes These perfeclty polished and groomed lashes look stunning when incorporated into your makeup. Katy says that, “This is a great lash for anyone who wants to try false lashes for the first time,[...]It's sweet and subtle, but adds just the right amount of length and volume." Get your hands on this chic fabulous false eyelashes collection at Ulta magazines.